Resources Available for Download - River Grove, IL - Star Hydraulics, LLC. Available in Acrobat Reader.pdf format for download. Star Hydraulics Parts Lists are available in Acrobat Reader .pdf format for download. Solid Models of Standard Star Hydraulics Manual Pumps for Insertion into Engineering Drawings. 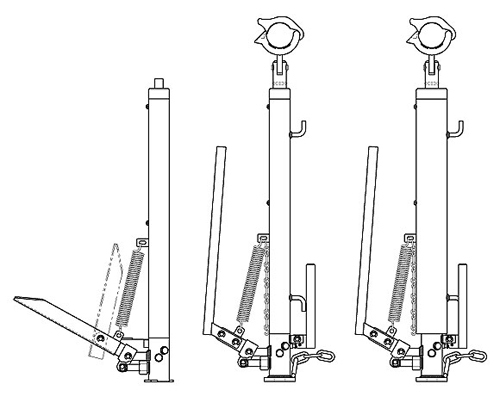 All CAD files include only one (1) piston size since mounting dimensions are not affected. 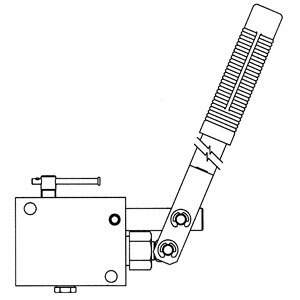 HF500 jack comes in 10" stroke only; drawing will have to be stretched to your desired stroke. 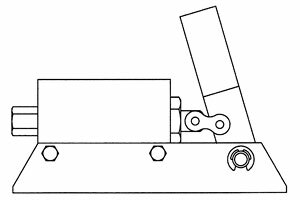 Drawings of Standard Star Hydraulics Manual Pumps. Download a .pdf file of your pump model. .50" .75" 1.00" 1.25" 1.50"
Is the number "04" stamped on top of pump block? Does your pump have a 4-Way Valve? Is the barrel diameter 2.50"?